The charm, elegance and romance of Venice are hard to top. This beautiful city is located within a lagoon and is part of more than 100 islands that boast nearly 400 beautifully ornate bridges that span the canals. 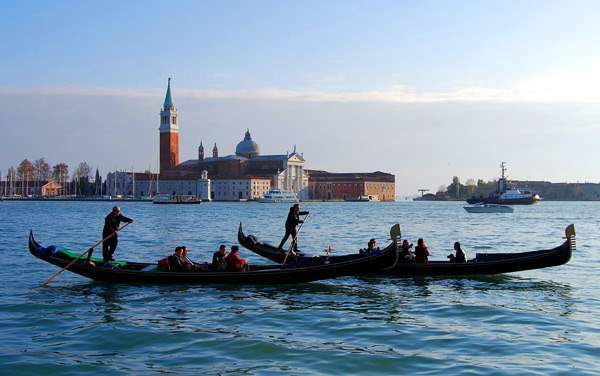 Gondolas replace taxicabs as the main form of transportation, so instead of the sound of obnoxious honking, you are treated to the romantic melodies of the gondoliers who sing as they row. Indulge in your romantic side without breaking the bank with our Venice cruise deals, listed below. Venice was a major port during medieval times and is most known for its prominence during the Renaissance. The centerpiece of the city is the Piazza San Marco, which is a gathering place for locals and tourists alike. The Basilica di San Marco is located on the eastern end of the square and is noted for its mosaics that were constructed in the Middle Ages. Before you pack your bags, scroll down to find the very best deals for cruises leaving from Venice.